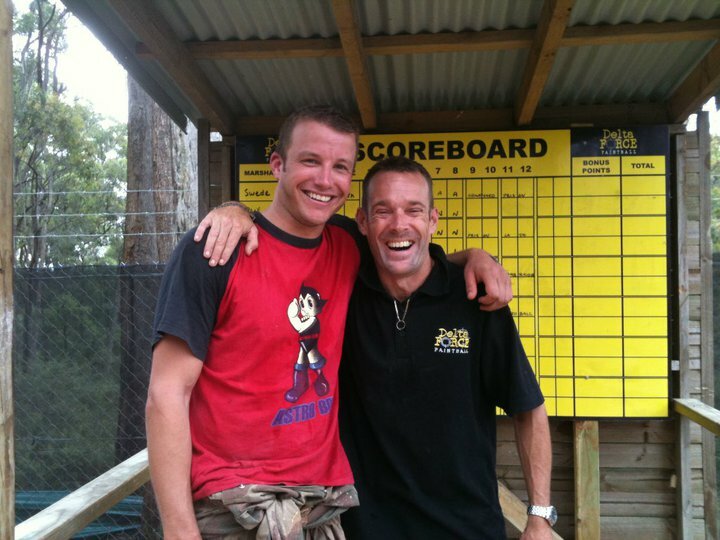 So as Australia’s premier provider of paintball games, it’s no surprise that we get a lot of celebrity visits. Last weekend amongst all of the happy paintballers in Appin was Luke Jacobz. A viewer favourite on Home and Away, Luke was also recently the host of various hit shows including Beauty and the Geek and the X Factor. Over the years we have hosted paintball events for a large number of celebrities, including sporting icons, movie stars, musicians and politicians. If you would like to play paintball with Delta Force and experience the celebrity treatment that we extend to each and every one of our customers, give our booking office a call on 1300 850 744 and our booking staff will arrange your perfect day of paintball.